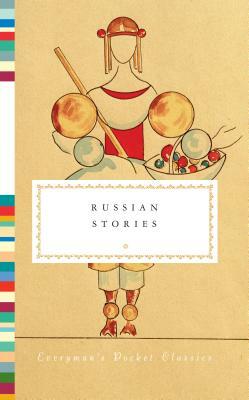 Russian Stories rounds up marvelous short stories by all the Russian heavyweights, including Pushkin, Gogol, Dostoevsky, Tolstoy, Turgenev, Chekhov, Bulgakov, and Nabokov, and continuing up to contemporary writers such as Tatyana Tolstaya and the recent Nobel Prize-winner Svetlana Alexievich. There is no similar one-volume collection of the best of the Russian greats in English, and especially none that include as many women as this one does, including a story by the recently rediscovered Teffi, who was widely hailed a century ago in Russia as "the female Chekhov." From the fate-changing storms that sweep through Alexander Pushkin's "The Blizzard" and Leo Tolstoy's "The Snow Storm" to the political whirlwind of perestroika that shapes Vladimir Sorokin's 1985 story "Start of the Season" to the aftermath of the collapse of the Soviet Union as experienced by ordinary people in Alexievich's "Landscape of Loneliness," these riveting stories chronicle not only the particular dramas and upheavals of the Russian people, but also the tribulations and triumphs of the human spirit. CHRISTOPH KELLER is editor of the Everyman's Library Pocket Poet anthology Hip Hops: Poems About Beer. He is the author of prizewinning novels, plays, and essays in German, as well as the Swiss best-selling memoir The Best Dancer. He is the coauthor of a forthcoming biography of the American poet Muriel Rukeyser, to be published by Alfred A. Knopf. He divides his time between New York City and St. Gallen, Switzerland.